New hair again! And I absolutely love this colour. Couldn't be happier about it. I used Manic Panic's hair dye in the shade Fuschia Shock, love how I always can rely on their dyes. About a third of the product mixed with a lot of conditioner was enough to fully cover my hair (which is now quite long as well). It shifts in a beautiful pink in sunlight and is otherwise kind of a warm, pinkish purple. As I am still inspired by the Urban Decay x Kristen Leanne Kaleidoscope Dream Eyeshadow Palette, I turned to it for this look as well. 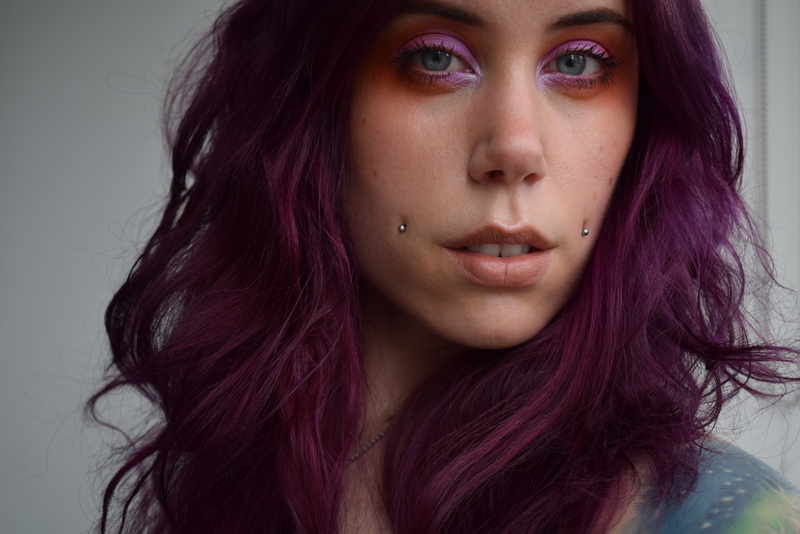 I wore the shade SPITFIRE all over the lid (a beautiful blue shifting pink duochrome), framed it with TAJIN (matte orange) which I also blended out towards my cheek bones, and a mix of LEO (iridescent blueish), BRIXTON (iridescent pinkish) and SPITFIRE in my inner corners. 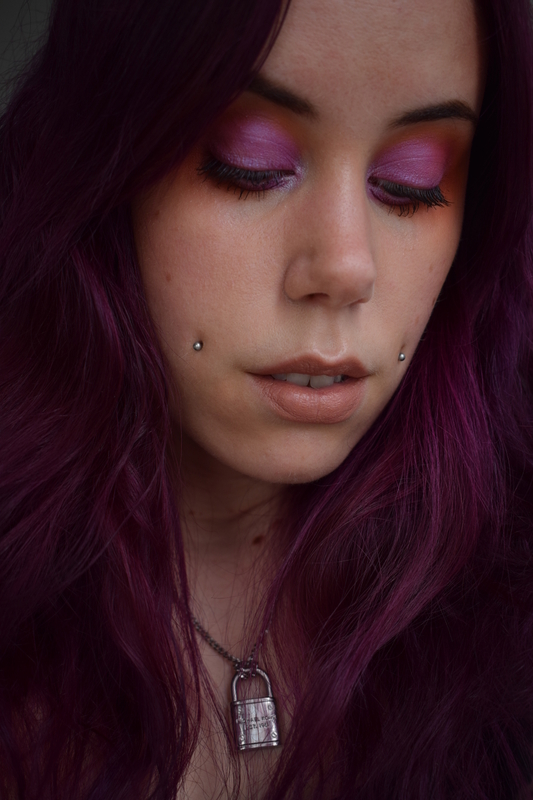 Besides the eyshadow palette, I actually used quite few products (for being a full face of makeup). I settled with concealer, loose powder, brow pomade, mascara, lipstick and bronzer. Felt so very nice!